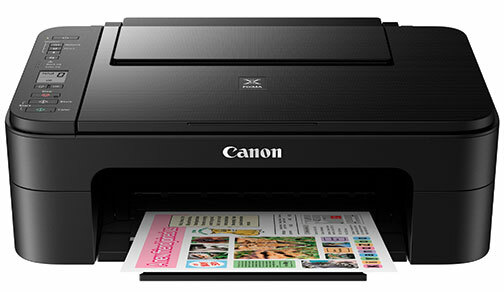 Melville, NY—Canon USA unveiled five Pixma TS-series wireless inkjet all-in-one (AiO) printers. 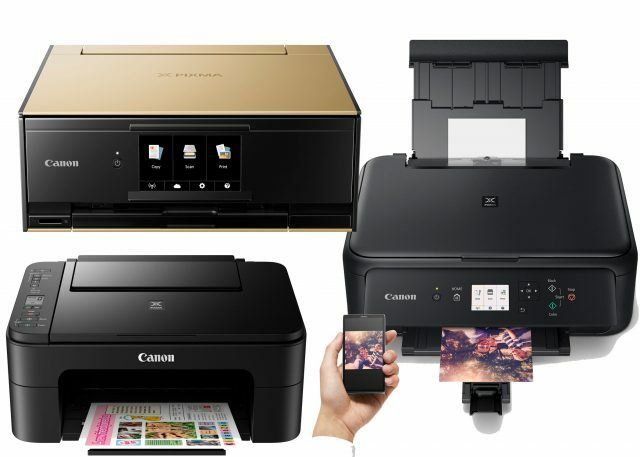 The Pixma TS9120, TS8120, TS6120, TS5120 and TS3120 printers deliver new features while maintaining a sleek, compact design. They also retain the print, copy and scan functionalities of their predecessors. 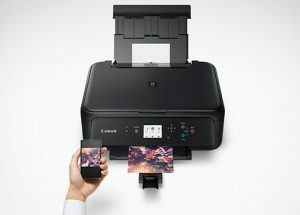 Each new model is equipped with an improved, high-quality ink system and Bluetooth connectivity for wireless printing and scanning. 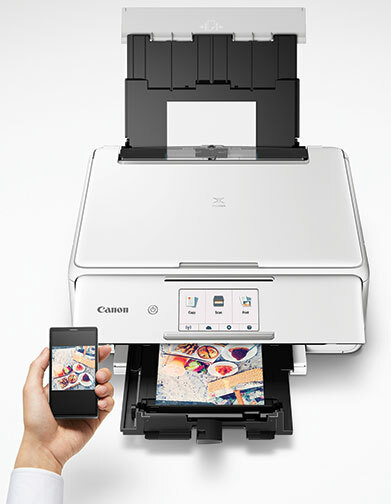 In addition, they will work with Canon’s new, interactive Message in Print app. The app will be available for compatible iOS devices in the fall 2017. 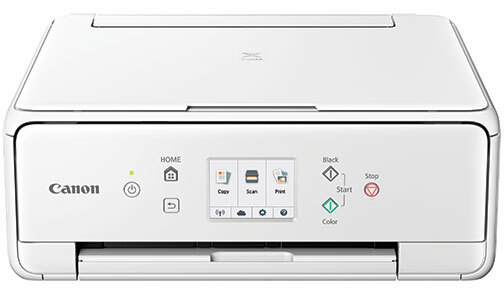 The printers preserve popular features from the previous Pixma TS-series AiO printers. They include cloud printing capabilities via compatible smartphones or tablets using Canon Pixma Cloud Link. They also support high-resolution scanning and a variety of paper sizes and types. 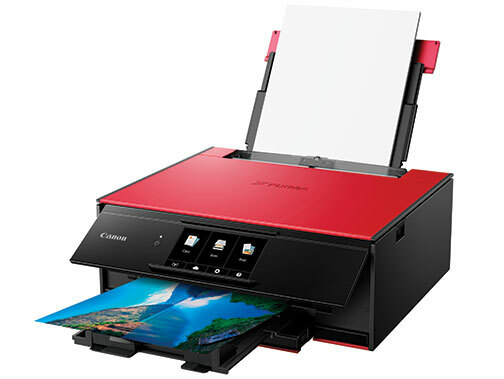 Furthermore, the TS9120 and TS8120, like previous flagships, have 5-inch and 4.3-inch LCD touch panels to allow users to select copy, scan or print functions. Moreover, they offer two-way paper feeding and an auto-duplex printing option. 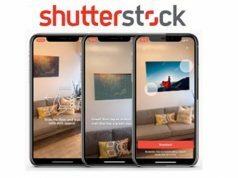 For compatible iOS devices, the app was created to provide personalization when sharing photos. Users can embed a code onto a customized photo through the app and then print and send it. The app allows embedded messages to appear on the screen of the recipient’s smart device when holding it over the received photo. Messages can range from videos or photos with animation as well as background music. In addition, they may include text, dates, location information and URLs. 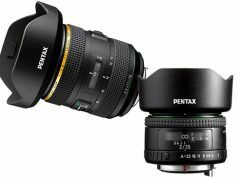 The result combines a physical photo with an enhanced digital component such as music or video. The TS9120 and TS8120 also feature upgrades such as a six-way premium color system. The system includes a new photo blue ink to reduce graininess that can be found in bright colored prints from blues to whites. In addition, the two models offer direct print. 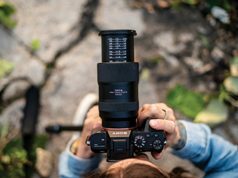 This feature enables users to print photos directly from a compatible SD card or digital camera without a computer. Another handy feature is disc label printing directly onto BD/DVD/CDs. Canon’s Pixma TS9120 wireless inkjet all-in-one printer has a suggested retail price of $199.99. It is available in gray, gold and also red. The TS8120, offered in black, white or red, has an SRP of $179.99.